Hi, Beth here. 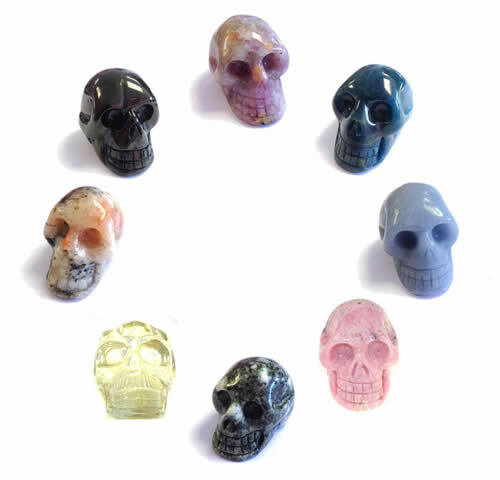 I started this blog to record my learning experience of working with crystal skulls. This all started when I joined in Eath Spirit's Online Crystal Skull Study Course over on Facebook. 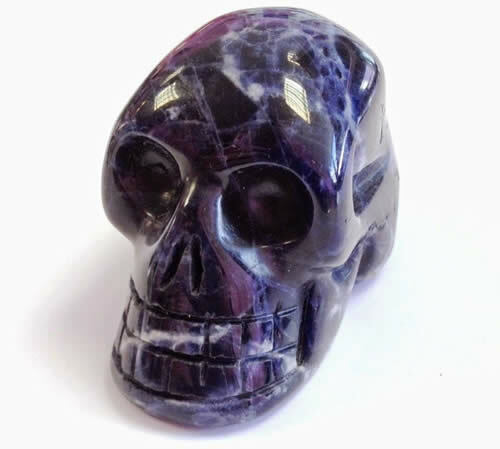 I met my Sodalite crystal skull while buying new wares for the Rainbow Spirit crystal shop. Our gaze met, our energies connected, and I knew I couldn't let her go. I've owned crystal skulls before, but not worked with them in my crystal healing or other therapies. Then Earth Spirit's course popped up in my newsfeed, and I felt it was a shove from above to learn and develop! The name that came to me for this skull is Saga, after then Norse goddess of wisdom and healing. For all I know the name she gives herself may be White Blossom! 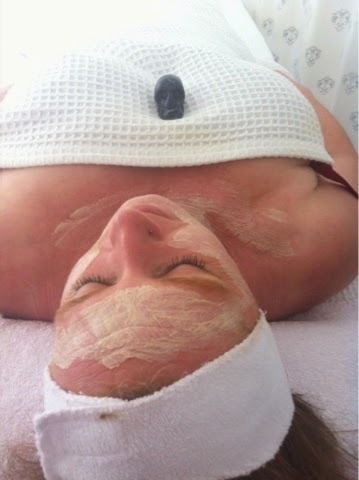 I'm sure my middle self came into play here, as Sodalite is the stone of wisdom, and of the Earth element. A little about me - I'm a homeopath who defected to crystals, and now blend learnings from each with the holistic therapies I practice. 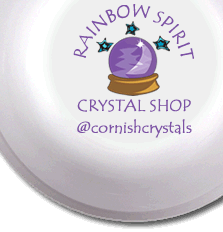 I run Rainbow Spirit crystal shop with my husband Graham, and we have been selling Crystal Skulls for many years. I started reading the first course notes on Friday afternoon, and instantly felt I'm on a valuable journey. I read the notes with Saga on my lap, connecting with her as I went from Bella's intro and remembering when we first met and she had a crystal singing bowl Sound Massage with Graham. I then refreshed my knowledge on Steiner's book about the Atlaneans & Lemurians....then as I contemplated the number 13 and my associations with it, boomph, I was gone. Totally deep sleep, at 4pm in an armchair (very unlike me). I awoke feeling like I'd been out of it, unsure what day/time/life! 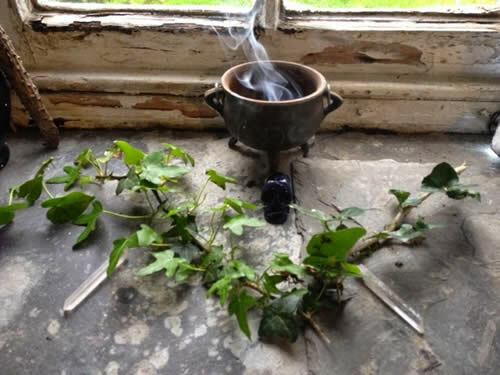 I headed out with the dogs for a walk in the woods and the green fresh leaves stood out so vividly that I collected some pieces to decorate my altar. Then I spents some time connecting with Saga, before letting her rest on the Amethyst bed. I've much work to do to unravel all I learnt into coherent detail I can share, but clearest part was that Saga and I will be joined by more skulls. Bring it on! I think it would be a good idea to record my perception of crystal skulls at the outset, before diving further into study. Then I can see how this develops, and whether it changes. My understanding of crystal skulls is based in my study of crystal healing, training as a homeopath, nurture as the daughter of a consultant surgeon with a wonderful scientific analytic mind (RIP Father), and my drawing to a Celtic based spiritual path from teenage years. I see them as relatively recent, manmade artifacts. The who and why they were carved having a variety of answers based in cultural influences from early 19th Century fascination for archaeology and relics of ancient civilisations, to New Age spirituality. My interest in them is as personifications of the Deva (vibrations life force) of the mineral/crystal they were carved in. Working with them is to tap into a consciousness of the development of Earth and the energetic properties of the mineral Kingdom that can affect our health and well-being. I am at odds with some of the myths and legends of recent popularity, citing a definite number of original crystal skulls and their relationship to lost continents. These do not sit with the rational aspect of my persona. I am, however, open to the Quantum Physicists' concepts of time and space, and the multiplicity and fluidity of dimensions. I have worked with homeopathic remedies to heal past trauma, and was taught to use the scale of potency with time in mind. Atlantis and Lemuria - these are perceived ancient land masses and civilisations referred to in predominantly secondary materials. The original source was writings by Plato (600 BCE). In his account, Plato wrote of an island about 10 miles across that existed 11,600 BCE, located in the sea beyond 'the Pillars of Hercules' (probably Gibraltar), and to the sinking of the Atlantean city in a single day, leaving behind a 'muddy shoal'. Images of Japan's recent earthquake and tsunami come to mind, but even if an earthquake sunk the landmass 10 metres, and the tsunami was equal in height, there is a lack of supporting evidence. Archeologists have not found advanced civilisation of any kind 12,000 years ago. Despite there being many texts of his time, Plato was the only one to have written about Atlantis. Bearing in mind his philosophical nature, it is likely that Atlantis was a metaphor within a story - a device to portray a paradise lost. Furthermore, Atlantis does not appear in texts or popular consciousness until late 19th Century, when Ignatius Donnelly used the concept as part of his theory that our ancient cultures were incapable of metallurgy, agriculture, religion and language - something that offends me, and has been disproven by late 20th Century archaeology. Much of today's collective knowledge about the lost continents is based on secondary material that elaborated on the theory and used it within past life therapy. This is also true of the writings on crystal skulls, which came onto the radar in the second half of the 19th Century, at the time of a spate of fake relics on sale in the streets of Mexico. None of the known skulls is evidenced from any archaeological dig. The Anna Mitchell-Hedges skull was proved to have been bought at auction after the trip to Mexico that she reported shed found it in an excavation. 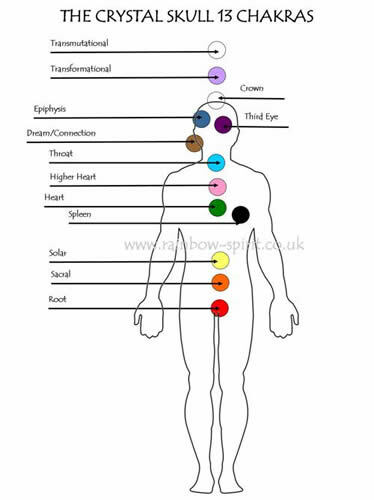 I was taught about the Chakra system as part of my Indian Head massage studies in 2002, and have worked with the 7 main chakra ever since, incorporating them in other holistic therapies that I now practice. The Chakra, or spinning wheels of energy, are a key theory within the Indian Ayuvedic school of thought on medicine. The Vedas are the oldest of the ancient written traditions in India (1,700-1,100BCE) and based on oral tradition from before. The word cakra (with the 'c' pronounced as 'ch') meant 'wheel' and was a metaphor for the Sun, representing celestial order and blance. Arthur Avalon translated Indian historical texts in his book The Serpent Power (1927), writing of the 7 main Chakras. The application of modern physiology gave substance to the theory as the seven Chakra correspond to the seven main nerve ganglia emanating from the spinal column. This original context for the theory was as part of a belief system of dualism, where one had to rise above physical need of body and material thought in order to attain a greater enlightenment and spiritual presence. The Chakras are a connection point between the two bodies/realms. The colour associations with Chakras is a modern concept. The seven main chakras are seen as resonating with the colour wheel/spectrum, starting with the Root chakra as red, through to purple at the Crown. I work with a male and female balance at the Heart chakra, associating it with both pink and green. As the Online Crystal Skull course refers to 13 Chakras, I've been reading around to gain an understanding of where this stems from. Additional Chakras come in three subsets, Subpersonal, Sudarshana or Transpersonal. I presume that each was developed from separate schools of thought. 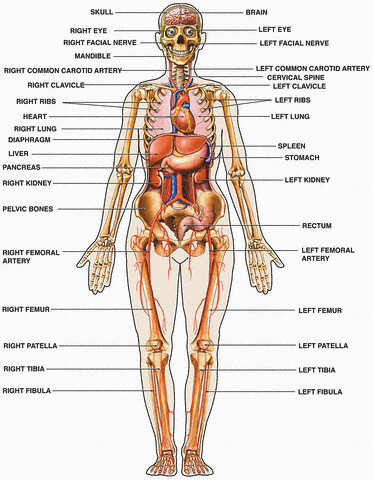 There are 5 Subpersonal Chakras that descent below the feet, ending with Eart Star Chakra. The Sundashana Chakra is the disc portrayed on the statue of the Hindu god Vishnu. Transpersonal Chakras are located above the crown. There's a range of thinking on how many there are (or to work with), varying as 3, 5 or 6). The Soul Star Chakra is 4-5 fingers above the head, and the rest I have seen depicted as radiating outward from this, similar to the auric fields, and are to do with spiritual connection. I have been using meditation techniques for connection with a crystal through the heart as written by Robert Simmons in his Pocket Book of Stones. As I wish to be with Saga, carrying her with me wherever I go, and she in turn wishes to be joined by her cohorts, I was hit with the need for a transportation and storage solution. A hand made pouch I was given many years ago popped into my mind, and it appears ideal. I had wondered what I'd ever use if for, as I don't work with 12 crystals, or 12 of any thing. Now the design seems crystal clear! The course notes suggest we carry our crystal skulls with us each day to help build our connection to them. Today I went to my daughter's college where she's studying Beauty Therapy. 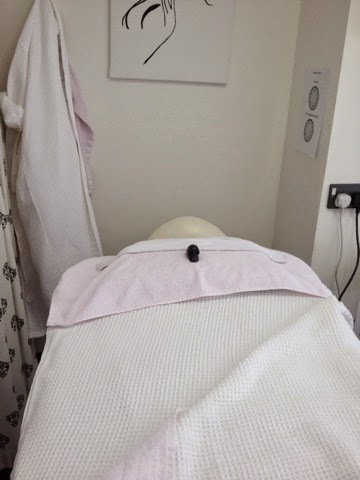 I was treated to a lush facial, and Saga came along too! 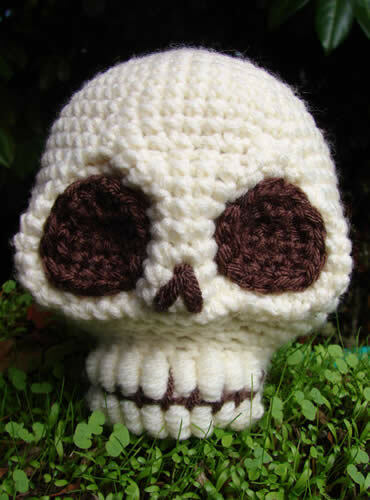 All Things Bright and Skully! I'm totally enjoying exploring and observing each one, accepting the good and the bad responses they evoke in me. This morning's challenge and mind blitz was about differing perceptions of skulls, and their place in society depending on culture and tradition. As we progress through week one of the Online Crystal Skulls Course with Earth Spirit, I'm bumping into and tripping over a lot of old matter that appeared on my path before. I grew up in a medical family, with a skeleton in our closet ... literally! My paternal grandfather, Poppa/J T S Gibson was bequeathed the skeletal remains of one of his patients, by the patient himself. He understood what a valuable aid to learning medicine it was, and how rare they were to come by ba ck in the pre-resin mass production days (1930s I believe). So I was nurtured with an appreciation of the human form at all physiological levels, and have no fear, morbidity or macabre associations with the shape of a skull. That's why I embrace all things bright and skully, and have a reverence for them. I spent a lovely evening in the woods with Saga and her increasing posse, which increased to three today. They came together as: Blue Sodalite, Earth, wisdom and stability. Pink Rose Quartz, Water, reconciliation, peace, unconditional love. Sunstone, Fire, enthusiasm, passion and luck. Clear Quartz, Air, clarity, optimism. I think Saga has been taking me through the elements with each meditation I do with her, showing me them from her perspective. It's been wonderful to refresh and revise my own thinking on them. That's why it made sense and something clicked into place when the fourth skull, a Sunstone, joined today. I was being eaten by midges so retreated indoors, carrying the grid layout back to the house slightly self- consciously! 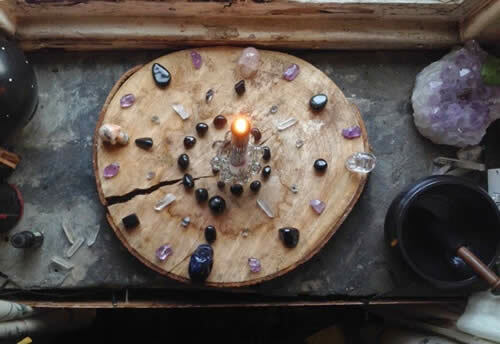 Then I added a candle I've been working with today, letting the crystal skull grid empower it, and leaving the gang to get to know each other. I was taught about the Four Learning Styles, as proposed by Kolb, and the Visual, Auditory and Kinesthetic learning styles theories. These suggested that teachers should understand that different people absorb and process information in different ways. To me it was a revelation - giving explanation to years of schooling where I struggled to keep up with those that were able to learn by receiving information orally. I recalled these theories as I started to work intuitively with homeopathic remedies and crystals, as I found (and keep finding) myself on a parallel path with those that receive visions or hear voices. The self-doubt fed me a belief that if I do not have these, then my intuitive work is unfounded and questionable - yet it felt so right, and I had confirmation from people when I hit the nail on the head and helped improve their well-being. The next learning step for me was to confirm my feeling and find that others had written about this, and clairvoyance has become the mainstream accepted terminology.... yes, there are other clairs! There are many other personal memoirs and small publication house works. Of interest to me is how many were written after the British Museum's analysis of the Smithsonian and their own crystal skulls in 2008. I'm finding that recent online texts are still referring to these as not possibly made by human tools, at which point they loose me. Why is the work of the British Museum a stumbling block for me? Because we met one of the team that did the analysis and found evidence of rotary tool marks indicating the method of production. He came into our shop in 2008 and bought some Enhydro Quartz pieces to use in pre-testing, in the fear that their laser equipment might damage the skull. From that I have a personal invested interest in the work. When an author defiantly states, as if irrefutably, 'we know the Mitchell-Hedges skull was in Atlantis', I'm thinking 'we do??!! how?!' The tool markings and proof that it was bought at auction, not discovered as claimed, and the lack of evidence of the existence of Atlantis have me at an impass. I hope I may find some reading material that confirms my thinking .... but that would be a book written by me ;) and I respect that everyone has their own context of spirituality and perception of things. Saga joined me digging the veg patch, then we had some we time, where she showed me the fire element as eternal loving warmth, so different to the sparky, flame and passion I normally work with. 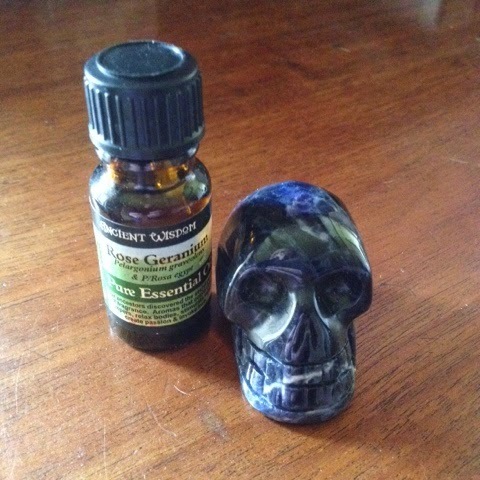 I was called to reach for my essential oils box, and found that my crystal skull is rather partial to being anointed with Rose Geranium oil. I've found it to be a bonding experience, giving her a mini head massage, especially over her third eye. The sweet scent of the oil adds another dimension to meditation with a crystal skull, as it activates another sensory perception. As my bond with Saga grows, I'm finding that there is great reward from meditation with a crystal skull. It is deeper than with other crystal forms. Here's what I've been taught/absorbed about preparing for meditation/visualisation. I don't profess to be a guru on this, so please add or question anything. I think of the meditation as having three stages. 1. You relax, ground, centre yourself and go into the meditation. 2. The meditation takes place. 3. You close yourself down, ground and centre yourself and return to normal consciousness. Here I'm hoping to share my way for stage 1 and 3. It's a way of looking after yourself and getting in the right 'space' for each time you do a med. Firstly, work out where you'll be. A quiet place where you can relax and be undisturbed for around half an hour is best. Make sure it's a comfy and safe place to sit or lie, so you can relax your muscles and mind, and open up to the experience with ease. So, here’s a fairly thorough method for stages one and three. I sometimes find I'm in the right place to slip into meditation without being so detailed. 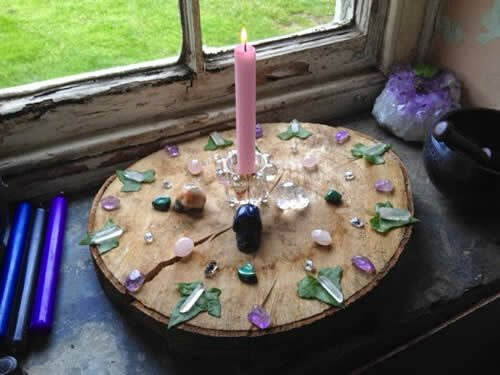 It can also be helpful to have a special crystal that you hold while meditating. It can become a familiar touchstone that energetically connects you to the right state of consciousness. Clear Quartz would be a good starting choice. Stage One -Get comfortable and settle yourself into a position where you can relax and not be distracted by any physical discomfort or irritation. Take 3 gentle, slow breaths, visualising that you are breathing in calm blue and exhaling darkness – releasing stress, anxiety and worldly cares. For the next 7 breaths, draw energy from the Earth below you. Visualise the energy rising up your central column, going higher with each breath. With the 1st breath, the energy reaches your hips where it glows red and you feel grounded. The 2nd breath stops below your belly button, where it glows orange and you feel a warm sense of security. The 3rd rises up to your diaphragm, glows yellow and gives you a sense of self-confidence. The 4th reaches your heart area, where it radiates green and pink energy, and fills you with unconditional love. The 5th comes up to your throat, shines turquoise. Swallow/cough, then relax your throat, and feel a sense of creative ease and personal freedom of expression. With the 6th breath, the energy rises all the way up to your Third Eye, resting above your nose and in between your eyebrows. It places an oval sapphire stone on your Third Eye which you can almost imagine you feel against your skin. Visualise the stone, its deep blue colour and cut facets, then see it open up like a music box, and unfold like an origami flower. You have opened up your inner eye and intuitive ability. The 7th breath brings the energy all the way up to your crown, bringing a purple cap to your head. It gives you a sense of cohesion and understanding. As you exhale this last breath – imagine pure white light gently hovering over you, offering you healing and protective energy. The light sprinkles down over you in a spiral creating a sacred circle around you. You remain centred and connected to the light through the meditation. Stage 3 – When the meditation or visualisation is complete, slowly become aware of your breathing again. Close your circle by thanking and bidding farewell to the light, imagining it spiral back around you and recoil back into its source. Draw the energy and your consciousness back into your physical body. Then, starting at your crown and working back down, close down your chakras by imagining each one in turn as an aperture like an old camera lens, with overlapping plates that spiral inward together. So firstly you’ll imagine the purple ray at the top of your head and visualise the camera lens closing shut as you take the first breath in. Don’t completely or tightly shut it, leave it relaxed and safe. As you exhale, move down to the next chakra, closing it when you inhale again. 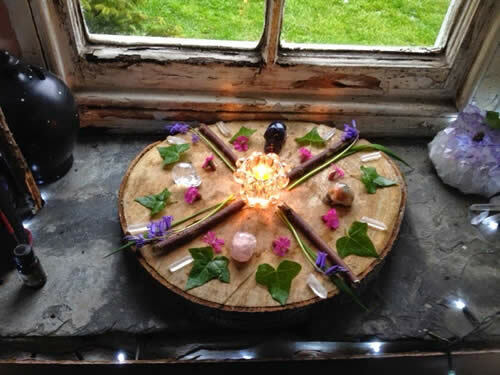 Here they are in turn:- Third Eye – deep blue Throat – turquoise Heart – pink and green Solar Plexus – yellow Sacral/Navel – orange Base/Root – red After you’ve reached the base, visualise roots slowly reaching down into the Earth below you, and branching out into the soil. Connect back to the place you are resting and slowly bring your consciousness more into the physical world. Wiggle your toes, shift your position a little. When you’re ready, open your eyes. It’s a good idea to have a small drink and snack. I used my little singing bowl to refresh Saga, and then she picked up the note of the bowl and started singing in tune by gently vibrating on the base of the bowl. We connected through sound, and radiated positive intent for understanding and compassion (best fit words for how it felt). 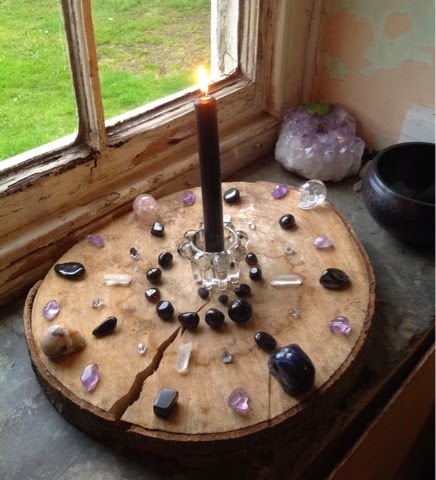 Then I intuitively made up a crystal grid, selecting dark stones (tourmaline, onyx, jet, obsidian, etc) and placed Saga & Co in the four directions, facing in to focus their intent on empowering the grid. There's been a burden of negative emotions and experiences I have been helping others carry in this last week, and I asked for relief for myself and those I care for. Then Saga had her head massage and filled me with warmth, and took me on another exploration of Air, a blooming speedy ride along a beach then up through a blue sky into the clouds. It was a wonderful experience. My happy days of homeopathic studies at Yondercott, with The School of Homeopathy and Misha Norland, was truly holistic. We studied anatomy, physiology, health and disease drawing from disciplines across the spectrum - medical, spiritual and philosophical. The latter had much to give and I absorbed the information so well that it is now an intrinsic part of my thinking and being. 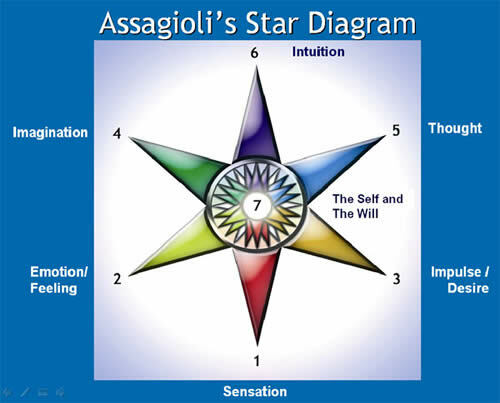 I often refer to Roberto Assagioli's ground breaking work of the 1960s, and his hypothesis of psychosynthesis. I am aware of all of these levels as I work with my crystal skull. There is my gut instinct that fires me up to pursue and persist on this path. My intrigue and desire to build on knowledge I've gained from the variety of disciplines I've studied, and pull the threads together, with a crystal skull cherry on the top. Lastly my intuitive drive that tells me this is something I cannot ignore and will benefit from, not only for myself, but in the work I do for others. Saga got left at home yesterday, by mistake. 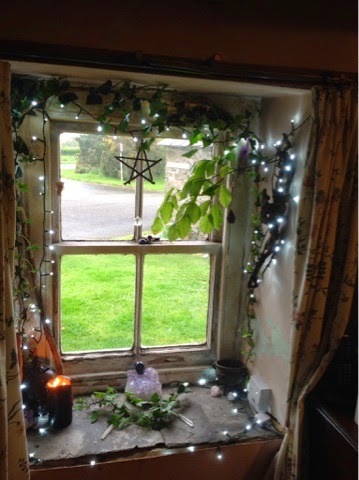 In my sleepy rush, I brought her carry pouch, and left her admiring the view out of my altar window. Doh! I really missed her presence, and feel that it enhanced our connection having 'absence makes the heart grow fonder' moment. To me a pendulum is a wonderful aide, as it amplifies and externalises matter that you naturally 'know' or can be sensitive to. That can be applied to all spheres of life, helping pick up and confirm your intuition on your well-being, food allergies, ley lines, traces of the past, etc. I've written in the past about pendulums on our shop website. Today I've looked at dowsing from the perspective of connecting with a crystal skull. 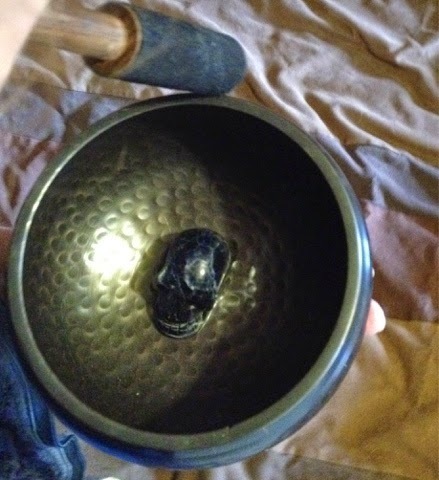 When learning to use a pendulum, or getting familiar with a new one, you can play the 'hunt the ring' game - hiding a ring (or something you're closely connected to) under one of three cups. Then holding the pendulum over each cup in turn, asking 'is my ring under this cup'. I would expect a lateral swing for 'search' and circular for 'find'. I use the same method to ask which crystal/remedy is best for me at times when I'm that off kilt, I can't decide for myself. I've found that I can add to this when getting to know a skull. It's like I'm not invading its space, being respectful, allowing a slow approach, so it's a meeting of energies, not an 'I own you' thing. It's similar to holding your hand out for a dog to sniff, before you get closer. So (long answer short!) after preparing, by being centered, grounded, in right mind space, and having asked the pendulum 'am I ready to dowse?' (or your chosen method), I would start a back & forth swing then hold my pendulum over the skull and see how it responded - just spending some time sensing the energy around it and its vibration. 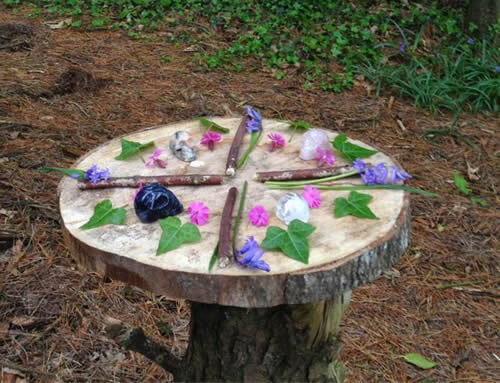 I've then moved on to asking for it's name - firstly by labouriously going through the alphabet, waiting for a circular swing when I get to the right letter - until I made myself a dowsing board ... but you could ask other thing - just making sure they are closed and well defined questions. I relish this as a topic that I have studied from different perspectives over the years, from Earth based religion to homeopathic and crystal healing, reviewing and revising my thinking. I'll walk through what I've learnt, and add the new aspects introduced by the course material as I study them. I'm still battling my Librian demons, wanting both logical and ethereal satisfaction, but enjoying the journey. There is immense scope for argument and opinion about associating directions to the cardinal elements? Up till my 30s I only knew of the modern Wicca opinion. Then homeopathic teaching introduced pre-Galen thought, and Hippocratic similimum pairing, rather than opposition. Air (North) and Fire (South), Earth (West) and Water (East), but as I'm Celtic/West Country at heart, Water is west in my being. 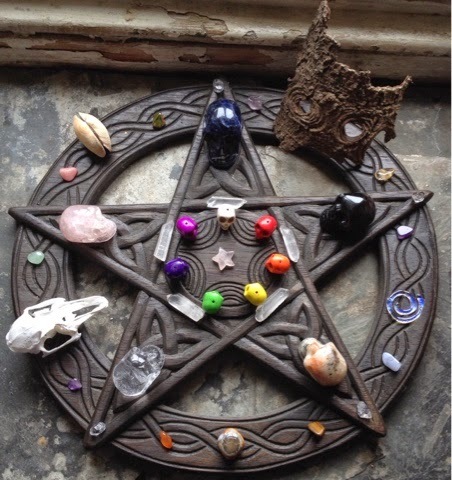 A Hedgewitch course I took part in proposed Fire in the West. Put it simply - arrrgh!! At the end of the day, what matters is that the system one works with makes sense to the individual and doesn't hamper their intent. After all, it's just one layer of civilisation tweaking the teachings of those before them. Hippocrates looked to Plato, who based his thoughts on the Egyptians, etc and so on. I'm at work today, with the busy-ness of half term and holiday makers upon us, and itching for home time, and to get to know my latest crystal skull better. He (most definitely a male!) is Obsidian, with Mahogany bands on his parietal and occipital areas, and a Snowflake by is right eye socket. I'm used to carrying crystals in my 'top pockets'... but never one that looks back at me! So, up to this point I've been recording my understanding and knowledge, and adding new research and findings. Great, if this was purely an academic exercise. Yesterday evening I sat in the perfect setting of my Cornish garden, enjoying the warmth of the sun, and dowsed with my crystal skulls. The results were, on the whole, unhelpful and disappointing, either no answer or conflicting. All I got was the Obsidian skull's name started with a 'V'. More demotivating was the lack of connection I felt, which probably effected my ability to dowse. What I did get was that my new Obsidian skull is with me to work in pairing with Saga. That made sense so I held one in either hand - as I would do Boji Stones or Quartz during a healing. Today I kept banging my head against the wall of 'but what's the definitive truth and origin?!' I posted an open question in the course forum about the directions of the elements, anticipating varying opinions and hoping it would get heated. The opposite was true. The lovely ladies, Bella & Juanita, opened a door for me and released me from that burden. I realised that it doesn't matter which school of thought you align with or defend - each one is based on a previous knowledge and consciousness. I've been satisfied that the concepts I uphold are based on Plato's works, but he was building (and no doubt embellishing) on Egyptian thinking! How far down the line do you go before it's too faint to matter. A great Braveheart 'Freedom!' cry came out of my heart having made this break through. I then took Saga and William to hold while I had a hot bath. I asked if Saga would have direct communication with me. I got 'no' but then I had a rush of suggestions to make to another course member to help them connect with their skull. I asked if Saga would speak to me - no, she's her to aid me support others. I then asked whether William was here to support me or Saga, and I had in my head a male voice with a strong accent say "It's Vilhelm!' (my spelling) I googled the name William, and found its Germanic and Old Norse origin. The Norse version spelt Vilhjalmur. It means 'will protect'. This guy is my hero already!